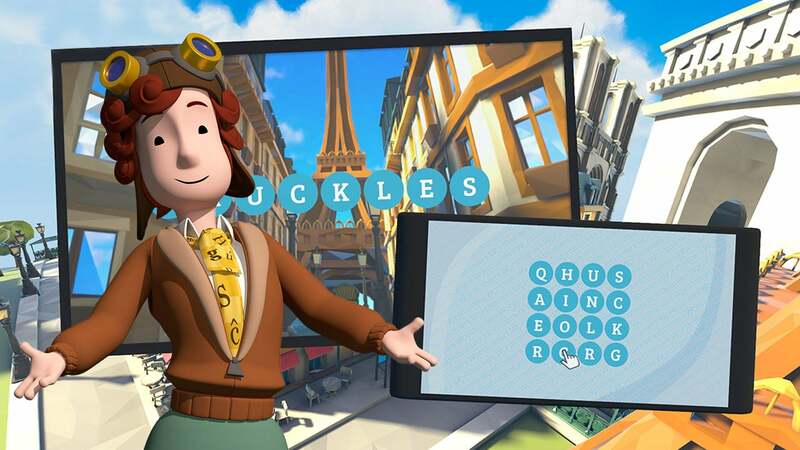 Have you tried the PlayLink games? You really should, especially if you've got family or friends coming around. Much like the Jackbox series, PlayStation's PlayLink range offers local multiplayer contests in which everyone can play along with a smart phone. It's great for relatives old and young who might not be confident with a DualShock 4. Both That's You! and Knowledge is Power have been free on PS Plus in the last year, and we recommend both of them if you haven't yet given them a go. Now we want to talk about one of the games coming in the next round of PlayLink titles: WordHunters. We got a full round of Wordhunters this year's EGX show in the UK and it already feels like a favourite for the festive season. We're pretty confident that it's going to be your mum's favourite too. If you've got someone in your family who is an ace at traditional word puzzling — word searches, anagrams, word-linking and the like — they're going to be the player to beat in Wordhunters. Players face off in a series of mini-games in order to come out on top. In a Word Search round, you race to gain the most points from a traditional word search (but only one player can claim each word, so you have to be quick!). Another game sees you square off Countdown style to construct the biggest word you can find from a jumbled list of nine letters. 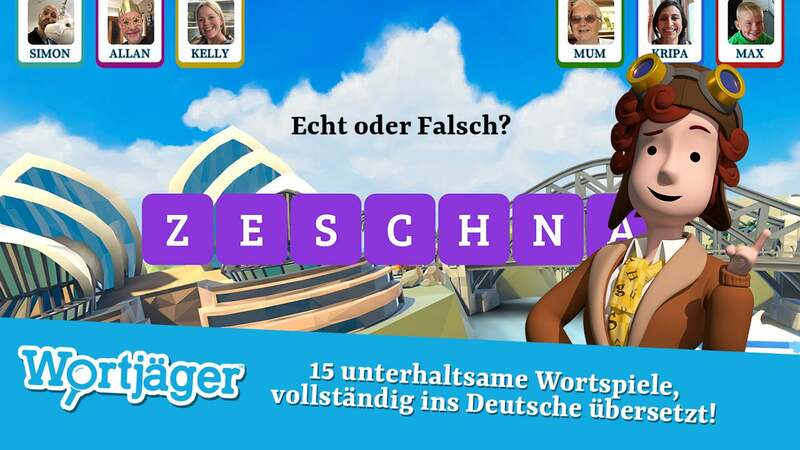 A word-linking round is a fastest-finger-first game in which you must pair words together into a larger word. 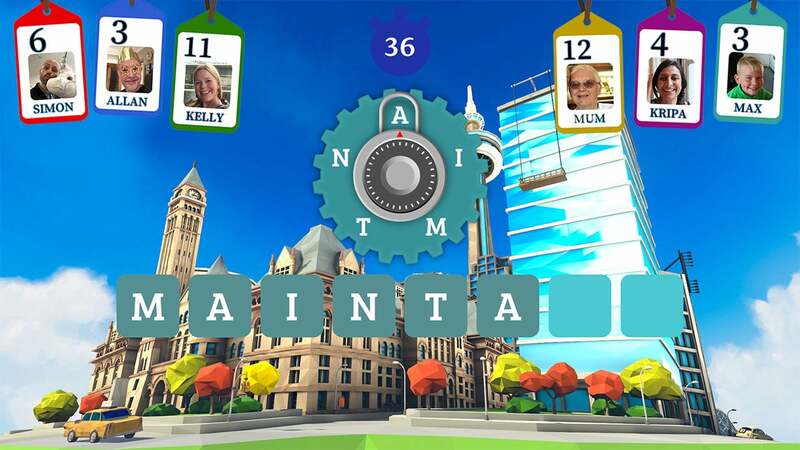 A Wordament or Boggle style round has players find as many words as they can in a square of letters, provided the letters are next to each other. One particularly tricky round has players remove one letter at a time from a large word to get to a three-letter word — but each step along the way must be a word too. There's a great range of games on offer but it's the way in which things come together in a larger contest that makes this feel like a worthy entry to the PlayLink stable. 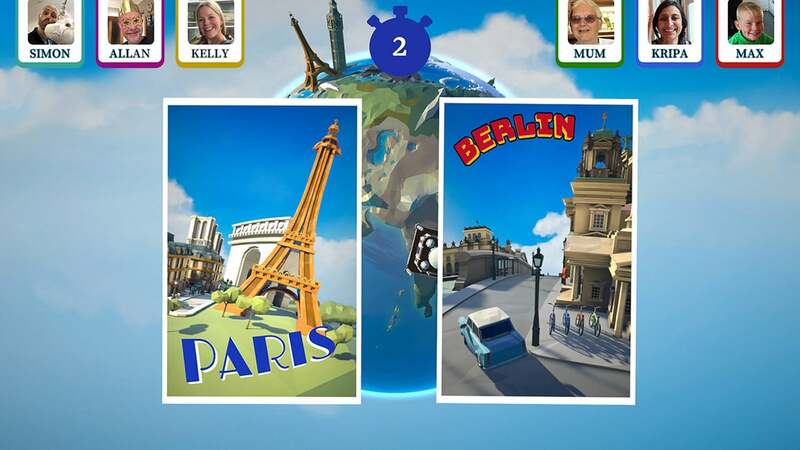 The conceit of WordHunters is that players are travelling the world, and each mini game takes place in a notable city. Players vote on which of two cities to visit next between rounds. At the very beginning of the game, all players receive a secret word that they must hide from their fellow contestants. If you win a round, you can take a look at the name of the city and see if you can use any of the letters in the city's name to start spelling out your secret word. The game ends when a secret word is spelled out completely, and that player wins. What gives the game a poker-like twist is that other players can see, Hangman-style, when a player manages to accrue a letter for their secret word. Between rounds there's a summary of how everyone is progressing towards their word. So when it comes to voting on which city to visit next, players have a decision to make: they can either pick a city name that contains some of the letters they need, or they can take a quiet guess at what other players' secret words might be and deliberately vote against any cities that might bring them victory. There are power-ups similar to Knowledge is Power that can be earned between rounds but the power-up that allows you to override the city choice is the most crucial, the Red (if not Blue) Shell that can turn the whole game around. It got seriously competitive even during a casual show-floor contest, with plenty of shifty attempts to look at phone screens or bluff each other. What's particularly great about the line-up of mini-games is that there is really something for everyone. Some games will be won by the quickest typists, while others will be dominated by players with a strong grasp of the dictionary or just excellent lateral thinking. What really impressed us was the language options; the entire game can be reworked into a variety of languages from the main menu. Not only is this great for accessibility, but it also opens up the possibility of using the game as an educational exercise if a group is trying to learn a new language. The full language list isn't finalised but we saw promising options such as specific modes for Spanish and Latin American Spanish. We didn't get a complete look at the final trophy list but we saw a few crop up on the developer console — you can expect a similar range of trophies such as those you would find in other PlayLink titles, and as usual the player signed in to the PlayStation 4 will accrue any trophies earned in the game, even if another player on a smart phone met the requirements. All in all, we think this is shaping up to be a perfect family game for the festive season — compared to most traditional board games, a £15.99 price point in the UK seems like a steal. You can even get 20% off a pre-order if you have a PS Plus subscription and purchase before the game's release on November 14th. Just be prepared to fall out with your grandmother. We've got the full list of Wordhunters trophies - check the list for guides to unlocking them.